The following cover letter was drafted by the NLG’s Cuba Subcommittee, in order to support the Emergency Resolution on the normalization of US/Cuba relations, adopted at the NLG Convention in October 2015. The enclosed Emergency Resolution was passed unanimously by a vote at the NLG National Convention in Oakland, California on October 24, 2015, and our chapter [OR organization] [pick 1: has endorsed this, OR adopted this, OR shares these concerns]. 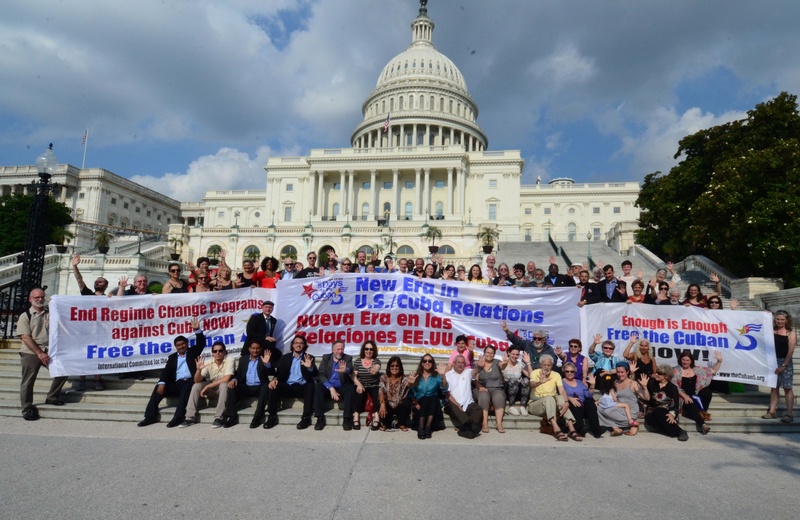 We are concerned about the very limited steps that the Administration has so far taken to loosen the economic blockade of Cuba, compared to its wide authority under current law. We are also particularly concerned about recent actions taken which are contrary to the President’s announced policy, including continued imposition of large fines on foreign banks for making payments to Cuba for legitimate international trade; the threats by the IRS against Pastors for Peace/IFCO for challenging the U.S economic blockade of Cuba; and the recently announced intention by the Treasury Department to revive administrative “trials for travel” to Cuba by U.S. residents, which had been pursued but then abandoned under George W. Bush. We respectfully urge you to address these positions, and ask you to respond with an explanation of what actions will be taken regarding our concerns in the near future or otherwise an explanation why not.